I just want to thank Reindeer Reads for nominating me for this award. I’ve been insanely busy this past month and had to take a little blogging hiatus, but I will be back now and have a bunch of book reviews and other blog posts lined up for this month. 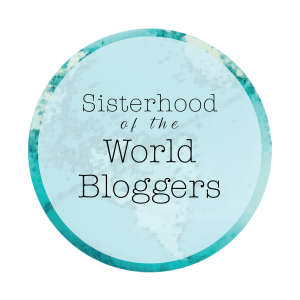 This award is a really a great way of getting to know female bloggers. All of the bloggers that I had wanted to nominate for this have already been nominated, so instead of continuing the never ending cycle of nominations I figured I would just answer the adorable questions proposed to me. 1. Drink of choice while reading? Coffee or tea? Red wine or white? None? I can’t drink coffee because of allergies and I don’t really drink alcohol while reading, but I’m totally obsessed with tea. I have a whole cupboard full of David’s Tea. My faves are the Read My Lips, Forever Nuts, and Pure Vanilla. 2. Name an indie or lesser known author that’s a favourite of yours. Why? Link to their stuff if you can! 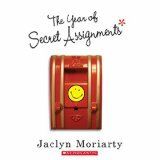 I’m not sure how well-known this author is but I would probably say Jaclyn Moriarty since I adore pretty much every book she’s ever written. 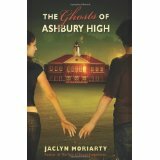 Jaclyn Moriarty’s books have an extremely unique style and it’s so interesting reading her stories. 3. Do you think the author’s intent matters most? Or the reader’s interpretation? I think the author’s intent should matter more, but I think the reader’s interpretation ends up having the most weight. No matter what the author was trying to get across, if the reader sees something totally different that’s what will stick with them. Reading is extremely subjective, so every story will be different for every reader no matter what the underlying message was that the author was trying to portray. 4. What’s a book you were originally not a fan of, but then loved? The Cuckoo’s Calling by Robert Galbraith (aka JK Rowling). I was kind of bored when it started out and wasn’t sure I was going to like it. I even put it down for a few weeks before returning to it. Once I really had time to sit down and read it though, I loved it. 5. Did you ever have an argument with somebody over/about a book? Yeah….The Hunger Games series, haha. Whether or not Katniss should choose Peeta or Gale. To this day I would still choose Peeta. I mean come on…..
Gale killed Katniss’s sister, not purposefully yes but he still knew that tons of innocent people were going to die. I’ve also argued with friends over books that I loved that they gave up on and didn’t finish. 6. Do you write in your books? Umm, hell no. If I want to take notes while reading I write them on a post-it and stick that on the page where I want my note to go. I also lend my books to lots of people and it would probably be annoying for them if there were little notes written into my books with my opinions. With the post-its I can remove them before lending out my book. Pride & Prejudice most definitely. I’ve probably read this book over five times, and I just love the story and the relationship. It’s the original love/hate romantic plot that has driven my love affair with books that have a love/hate romance. That being said, I do have a limited amount of classics to pull from as I sadly haven’t read very many. I’m definitely hoping to change that over the next few years. 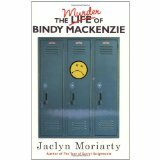 I’m going to go with my favourite book of this past year, which is I’ll Give You The Sun by Jandy Nelson. I read this book in 2014 and it was such a beautifully written YA novel. I loved all the artistic metaphors, the switching of perspectives between brother and sister and past and present, and it has a really cute story. 9. Do you think authorship is especially important? For example, if I’m from New York, should I only write in the voice of someone from New York? What about different ethnicities or genders? Does this only apply when the narration is first-person? I think authors should try to write their subjects as realistically as possible (if it’s set in a realistic world). That isn’t to say that they should only write from their perspective or experiences, but to say that if their writing a character whose life they’ve never experienced then they should do some research to try to make that character as true to reality as possible. I do think, however, if the author is trying to illustrate a certain theme or point that they do have artistic license to write in any way they would like in order to get their point across. 10. Favourite book villain or bad guy? I would probably say Count Olaf from Lemony Snicket, because he’s extremely weird and hilarious. Also, because other than Voldemort he’s one of the few villains that I can think of off the top of my head. I just love how eccentric Count Olaf is, and all the different ways that he magically appears in the Baudelaire’s lives every book.